Powerfest has started and runs up until 22 May. What’s coming up are the super exciting Middleweight, Heavyweight, High Roller and Super high Roller tournaments. The Heavyweight tournaments have a huge $2,925,000 guaranteed while the High Roller tournaments feature an incredible $3,650,000 guaranteed with a Sunday High Rollers Main Event with $1,000,000 guaranteed. 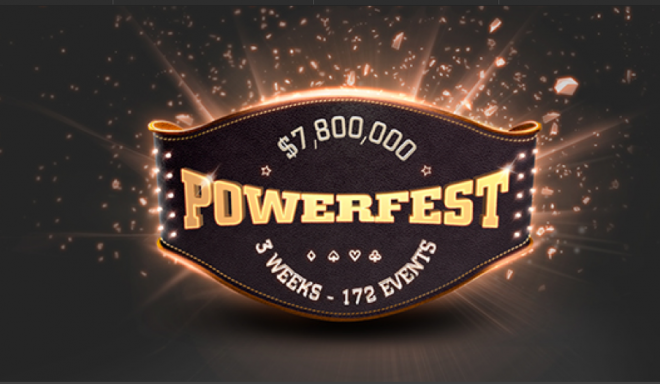 Your share of $7.8 million awaits if you already have a PartyPoker account.